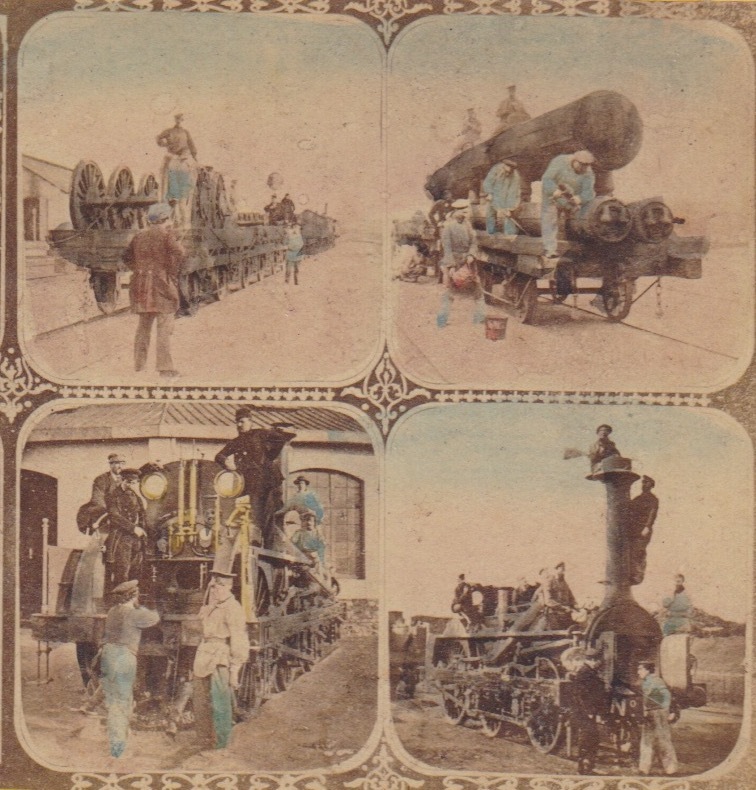 An uncommon French so-called ‘mosaic’ stereoview consisting of 4 smaller images of steam locomotives and train wagons. 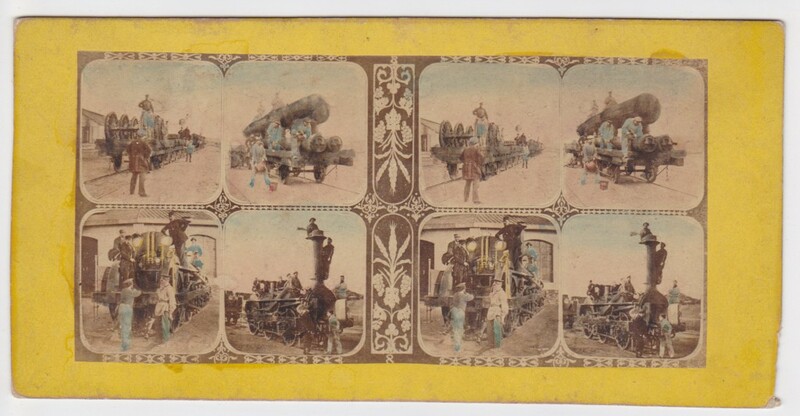 Probably intended as an advertising view, showing views that were for sale individually. See also: Denis Pellerin. La photographie stéréoscopique sous le second empire. Biliothèque nationale de France. 1995.